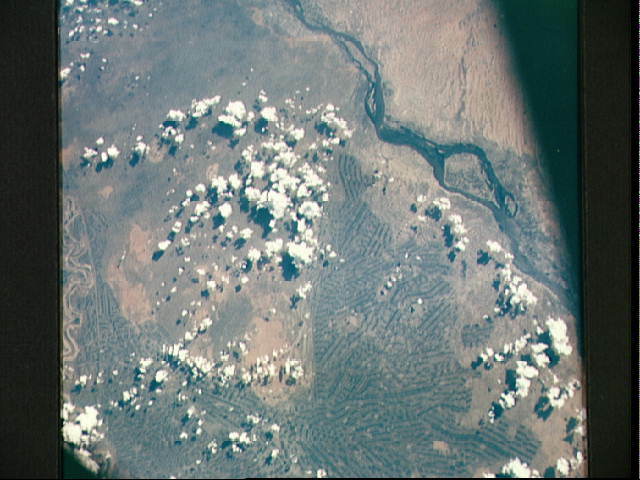 Sudan, showing White Nile and Blue Nile rivers below Khartoum, as seen from the Apollo 7 spacecraft during its 44th revolution of the earth. Photographed from an altitude of 130 nautical miles, at ground elapsed time of 69 hours and 10 minutes. Note quilted-patchwork effect created by irrigated cultivated land.